Inching Up to Supersonics . . .
It’s been four years. I’ve travelled to Mt. Meron in 2013, ’14, ’15 and in February 2016. This year the Israel National Parks Department closed off my favorite mountain trail. My guess is that storm damage during the winter destroyed so many Eastern Strawberry trees, that they just decided to leave the trail as is, and forbid hikers to use it. This image of a cool brushfoot butterfly, Lasiommata megara emilyssa was appreciated back in 2013. This photo is the best I could get, for this species flees once you approach within 15 feet of it. I was pleased with this look, with its clear eyespots, wing patterns, antennae and other features. 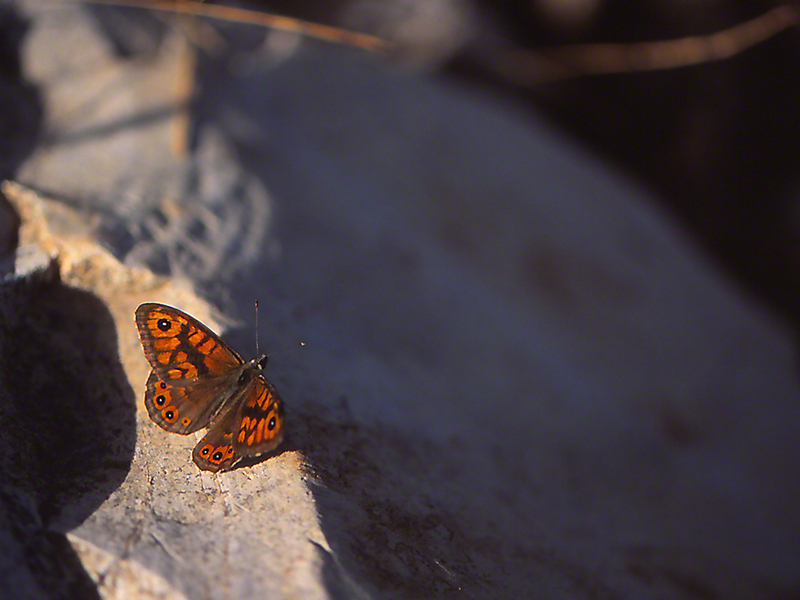 You might be wondering, Is that my shadow to the left of the butterfly? ← What’s To Like Here?